Thank you for this post. The final line about learning from and with other superintendents, is key. Not only do you, as a peer, have access to that, but so do the parents, staff and students in those Districts. I appreciate that the role of superintendent can be a challenging one from which to blog, and I believe that the benefits to students are not easily measured. However, it can only help when your community learns along with you. Thoughts shared via blogs resonate throughout the District, no doubt sparking conversations and hopefully pushing the learning of others. Great stuff! Thanks Shannon. I think the blogs really humanize the role. I am really interested in what my colleagues are writing – it gives me a great insight into what their days look like. I think our jobs are a bit what we make of them – and we have some choices over where we spend our time and energy – it is interesting to see such a range of places that those in similar roles spend their energies. It is pretty exciting! As an educational leader who only recently started Tweeting, I’m taking the “toe dipping” approach to writing for a public audience. I appreciate having the blogger links you provided, as it’s a great way to find out what others are saying and to help me frame up what I think I can blog about in the future. It’s not that I’ve ever been one short on words, but meaningful words do need time for reflection. It is refreshing and reassuring to read that variation in personal styles is OK, which one would think is a natural assumption, but like many students, I need a great deal of role modelling before I “dive in.” I think I’ve moved beyond my toes and with a few more examples I’ll be ready to dive. Thanks Liz – I do find it is a continuum. I find myself increasingly comfortable to expose my ideas publicly over time. I have gained confidence to write on my personal topics, and share ideas that I wouldn’t have even a year ago. I am looking forward to you diving in – it is a safe place and a great community. Wonderful impact happening in BC – I wonder if there is a collection of Superintendent blogs in a list somewhere in addition to those you have shared. Would anyone know? Would love to put a Reader/iGoogle page of feeds together of them to share with all admins in my district and elsewhere. @Rich Here is a bundle of the blogs Chris listed (with his added). @Chris Thanks for sharing this as I think it is great. We are doing things a little different in Parkland that will hopefully alleviate the pressure of one person blogging, but also show the collaborative approach. We are blogging at parklandblogs.ca which has different writers sharing different perspectives to bring our expertise to one area. I am wondering if we will see more of this happen as I think there is value in having a collaborative approach to blogging as there are so many things our schools have expertise in and that cannot truly be shared by one person. I think that there is movement to grow in this area. George – I am interested in your experiences with this George. To date, I have found more success with personal blogs than group blogs – maybe it is the accountability factor – not sure. I am trying to find ways that people (staff or students) have a home base where they share their work and then it is aggregated for easy consumption – really what you and others have done with the Connected Principals site. We have tried this collaborative blogging approach with in our district with http://collaborationwithoutboundaries.edublogs.org/ – a projected funded by the Rural Education Innovation Grant. Some in our group are teachers and some are admin. We hope this blog will become a space where we can communicate, promote our project to the world, but more importantly a way for use to communicate, support and gain ideas and experience from each other. Our district is very spread out and we often find it difficult to connect with each other. We are working through this process and learning and growing and changing with it. Our hope is that we we will become a closer, more open, supportive network through it. Time will tell. The digitally-oriented PLC of BC is impressive indeed. What’s most interesting to watch is Canada’s advances in #edtech and the Fullan driven Whole System Reform, simultaneously–all without a federal education department. As a superintendent who blogs, I not only learn from others who blog, but also learn while I blog because it’s such a reflective process. What’s most important, however, is for superintendents to pragmatically understand the meaning of PLNs and digitally-oriented PLCs so that they are more likely to support principals, teachers, and students when they also form and participate in PLNs and PLCs. Thanks Brad. It is interesting that we are having digital conversations linking across the country without Federal responsibility around education. Agreed with your point, as we explore the possibilities of our own PLN / PLC we can better understand why they are so important to support for others in our system. Thanks Jay – and thanks for all your work with the AASA – in both giving value to the work happening in the digital space and helping aggregate the work. I am really looking forward to the changes at the School Administrator – a credit to you and others to look around the corner to model where we are going. I’m curious to learn how busy superintendents who blog incorporate their blog writing activities into their daily schedule? Since blogging is a relatively new activity and time management is an important concern today, do Superintendents set aside an amount of time per day or week to write during their work day, or is this something they do in their after hours time? Having tips on how to effectively incorporate blogging into a busy schedule may just encourage others to take up blogging. When people tell me that they don’t have time to blog, I think what they are often saying is that they have not yet been convinced it is valuable enough for them to make the time. For me, I carve time from my weekends and then I respond to comments at night, and I know there are things others do in this role, I don’t do. I have placed an importance on it, and other things slide off the table. Also, I have drafts of about a dozen posts – whenever I have an idea for a post, I sketch it out . . . . and then come back to it later. I think it is a good question for me to follow-up with our principals who are also all now blogging and find out what they are giving up to do it. I think blogging is an awesome reflective tool; it also has the potential to generate conversation and ideas. A blog, like many other tools and apps can have many purposes, some more private and reflective and some more public, celebratory, and conversational. Blogging and its relationship to leadership requires some clarification. Do the sheer numbers of bloggers indicate leadership? 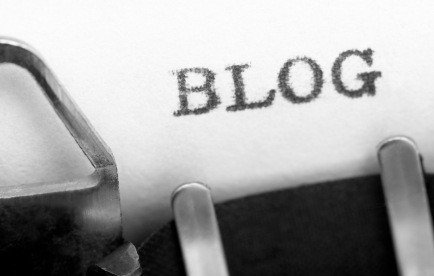 How many AOs’, teachers’ and students’ blog? Does the frequency of blog post connect to leadership? Do the conversation responses indicate leadership? Some Superintendents’ have not posted on their blogs for months. It almost leaves me with the feeling there was a blogging ‘workshop’, everyone started a blog but either some did not ‘buy in’ or the content of their blogs are not personally or professional valuable, so the blog dies off. I think the same types of questions can be posed for digital portfolios. Technology use requires a sound pedagogy, simple existence is not enough. In the classroom, this is the role of the teacher, establish purpose, audience and link to curriculum. Finally, we need to create communities of learners and foster critical thinking. When this occurs the use of technology or a blog is effective.